I found some freakin’ great toys recently, and I have no idea what they are. They look like B-List wrestling stars. I’m not much into wrestling toys (or wrestling in general), but these guys make me wanna give them a chance. The characters are so absurd, I’d love to see them in the WWE ring. Actually, if there are any wrestlers reading this, take some inspiration from these costumes. Every good wrestler needs a good gimmick. 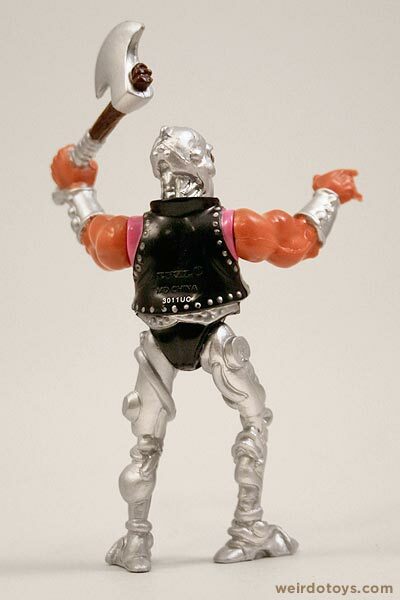 So, what do you get when you cross a barbarian, a robot and the biker from the Village People? Well, howabout Batman, Conan and a surfer-dude at the prom? I bet he’d look something like this. 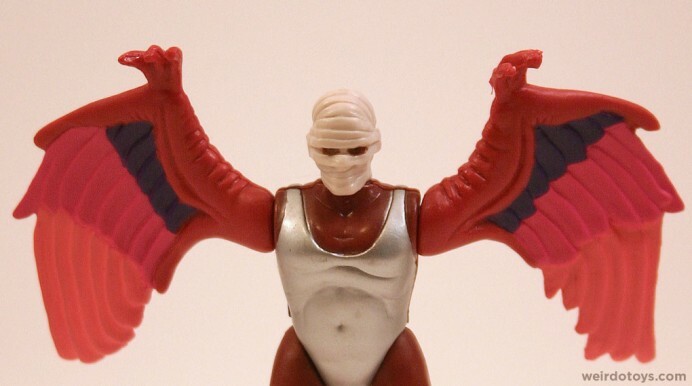 What do you get when you cross a dragon and a witch doctor (who’s worried about his elbows)? What about a Flavor Flav wannabe who’s fallen victim to bad burns and a spill in toxic waste? Okay that was a bit of a stretch. I don’t even know what to say about this guy. Now this guy is one of my favorites. 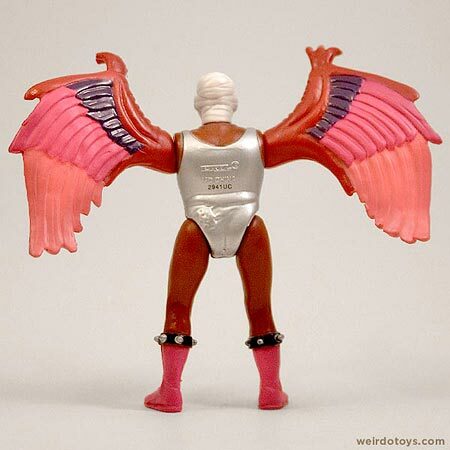 He’s wearing the classic, iconic wrestling tights… but with those wings and the mummy-wrapped head, he just looks like a freak! Perfect. The figures are about the size of the small G.I. 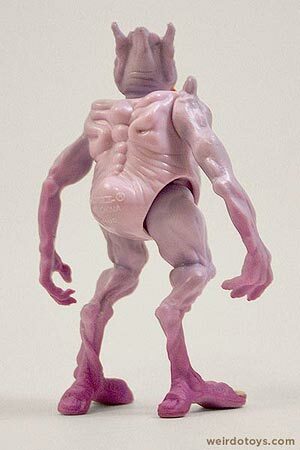 Joe or Star Wars figures. 3 3⁄4″ or so. If they’re not wrestlers, I can easily see them in the background of a new Star Wars movie along with other random, crappy George Lucas aliens. I haven’t been totally honest with you all. 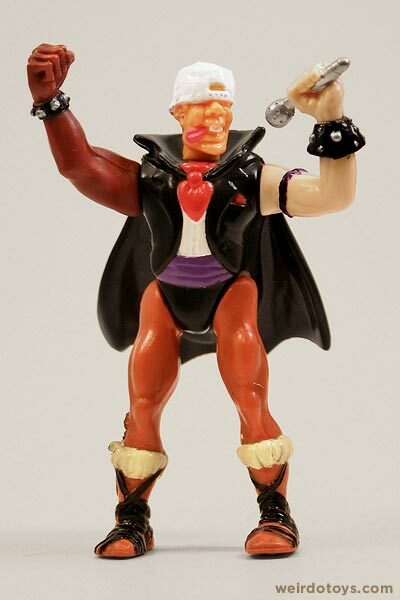 You see, these mixed-up figures are actually from a toyline called Socket Poppers (if you hadn’t already figured it out by the title of this blog entry). They’re a cool collection of characters released in 1991 by Ertl (you know, the company that’s best know for making those little die cast cars). So, just as the name implies, these figures have interchangeable parts. You can “pop” their heads, arms and legs from their “sockets” and pop them into place somewhere else. Fact A: If you built three characters a minute with no duplications and worked continuously for two years, you couldn’t complete all the possible combinations offered by just two Socket Popper characters! Fact B: Assuming their were no duplications in their work, one trillion people each working continuously for one trillion years could complete less than one one-billionth of the possible combinations offered by all 16 Socket Poppers characters! I’ve only been able to get my hands on 11 of the figures (there are 16 in all). Check ’em out. They still look pretty good as standalone toys. 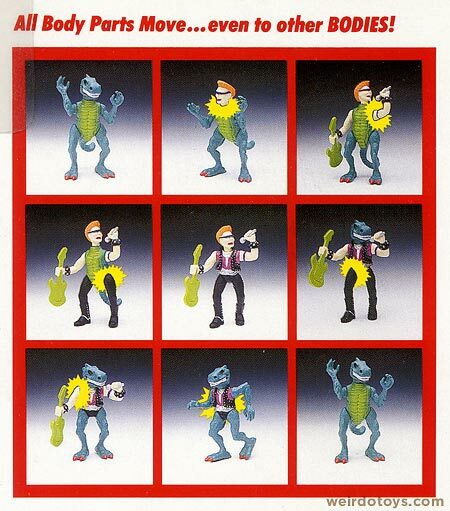 I would love to see a resurgence of this toyline… especially if there were multiple series of characters. There would be so much room for potential combos. 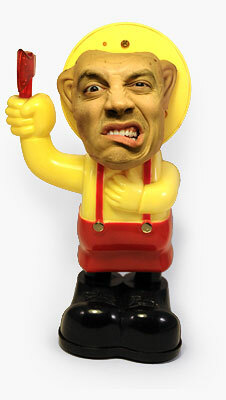 As I was searching for info on Socket Poppers, I was actually surprised by a little something I found. 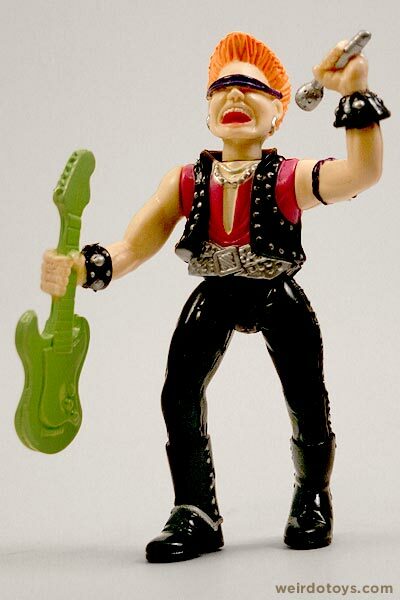 Apparently, Socket Poppers are a re-release of toys originally released by Matchbox (a company also known for making little diecast cars) in 1990. 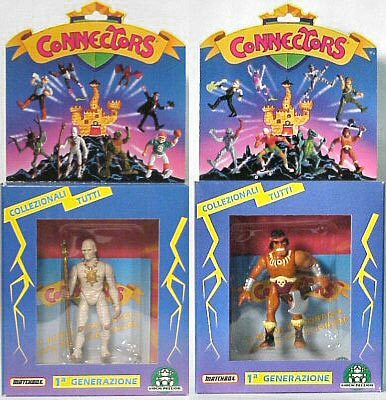 The toy line was known as Connectors. Pretty generic huh? Connectors photo courtesy of TonsOfToys.com. My immediate reaction to seeing these toys in their packages is “Matchbox missed the point.” The great interactive feature of the toys is completely lost. 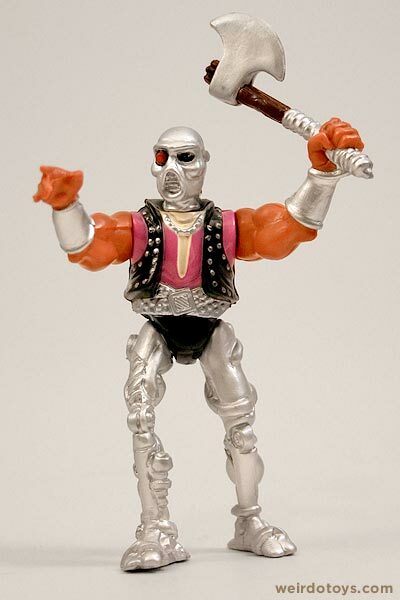 There are definitely a few things that Ertl did right when marketing the Socket Poppers. 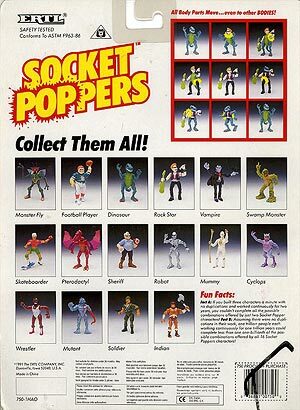 “Socket Poppers” just sounds fun. It is engaging, and it kind of leaves you curious. “Connectors” may be a bit too vague. It’s definitely not fun. They could be anything from a tool set, to building blocks, to extension cords. The overall “look & feel” of the Socket Poppers graphics are bold, clear and eye-catching. The simplistic design and contrast in color helps everything stand out compared to the cluttered, overly-detailed and irrelevant graphics of Connectors. Also, the small repeating graphics of combos on the Socket Poppers package makes much more sense than the group of Connectors figures jumping from a castle. The socket poppers package is covered in fun, goofy language constantly reiterating the multiple combos and all. Even with the absurd stats that are probably untrue, it’s just fun and further illustrates the variety of the toys. Connectors uses none of that. Maybe there’s cool stuff on the back of the box though. Probably not. This is probably the smartest immediate difference in the packaging and the way the toys are displayed. 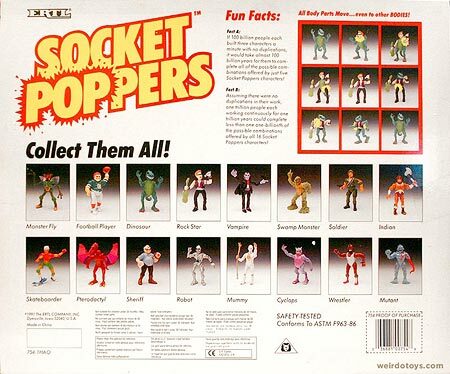 The Socket Poppers are offered in multiples – not single carded figures. 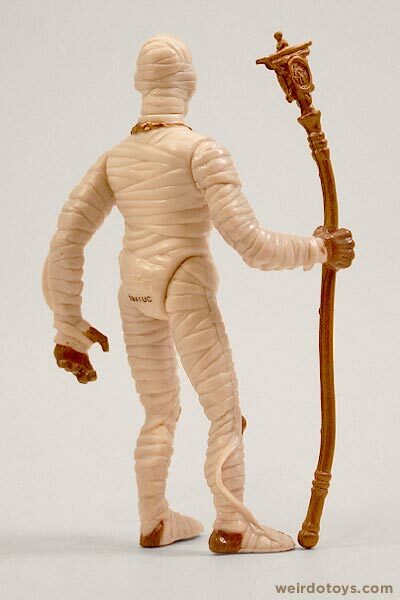 This allowed Ertl to clearly illustrate the intent of the toys. By simply displaying characters mixed with one another, they immediately communicated to kids what they’re supposed to do with the toys. You don’t have to read a thing. Connectors, on the other hand, have a single figure sitting there in generic box. Not nearly as fun, and it definitely isn’t clear that the characters can be mixed up. I’m not sure why I’m over-analyzing the packaging like this. It must be the designer in me. I was just impressed by the thought that Ertl put into packaging the Socket Poppers versus what Matchbox ended up doing for Connectors. 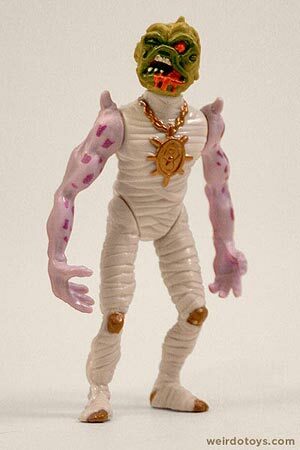 And lastly, I’d love for anyone out there that may have the Monster Fly, Football Player, Sheriff, Mutant or Soldier figures to contact me. I’d love to take them off your hands to finish my collection. Plus, I could feature them here along with some more messed up combos. Oh man! I had that vampire figure and never knew what it was! 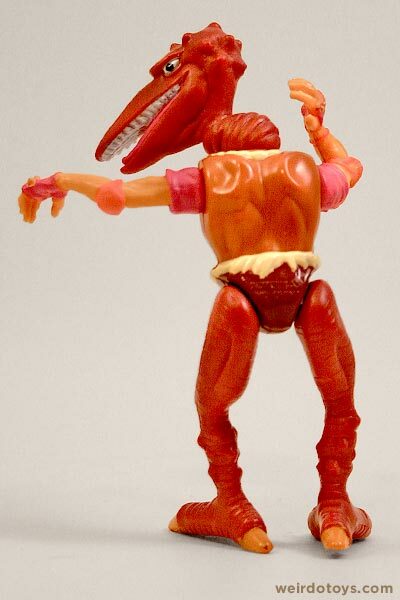 I found it at a thrift store or someplace and always wondered why his arms and legs popped off so easily. Mystery solved! Great post! 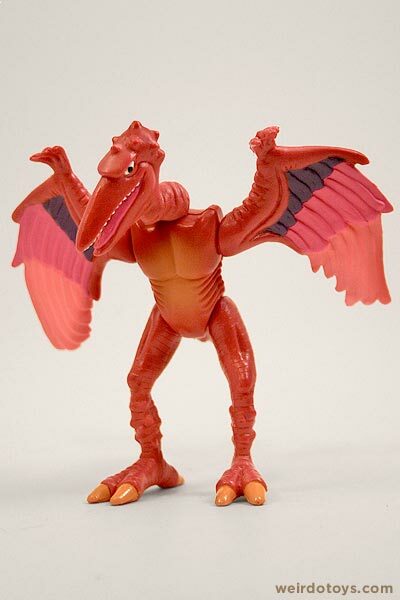 I totally had the fly/football player two pack (and the skate boarder pterodactyl) most likely they are broken up into each of their six pieces scattered to who knows where across the closet floors of my parents house…. which means they are as good as lost. sorry. Heh, At the beginning of this article I was just getting ready to storm into the comments section to say these looked like someone just mismatched a bunch of toys and then BAM they were made exactly for that purpose. I really enjoyed the over analyzing of the packaging as I do the same thing as a graphic designer. It’s the curse we bear. 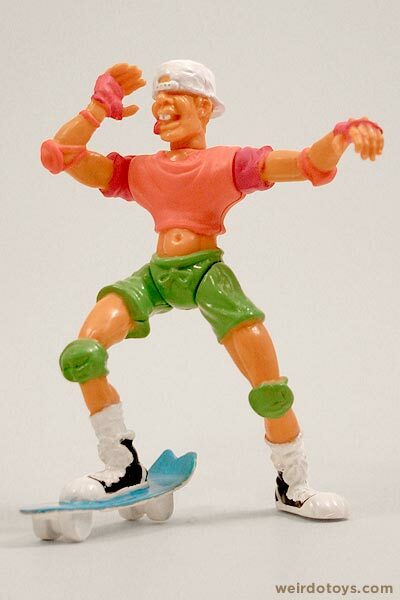 Who knew a company that is most largely known for their tractor die casts could do so well in the design field when it came to zany 80’s figures. 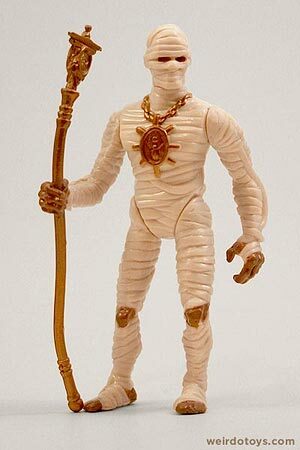 It’s interesting that the original Matchbox version only had one figure per package, which means you’d have to buy at least two of them. Maybe that was the idea? 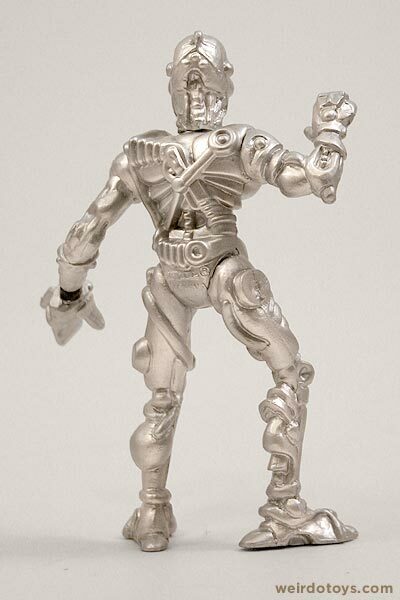 Unfortunately, the Connectors packaging, as you point out, doesn’t describe what the toys actually do AT ALL; they just look like crappy generic figures, making it unlikely that anybody would buy the first, let alone a necessary additional figure. @ Jenny – Wow! Great point. I didn’t even mention the fact that Matchbox challenges kids even more if they get stuck with one figure. You won’t be able to make a combo without a pair. Stupid Matchbox. Just wondering… do you think they have to pay any residuals to Mr. T for the wrestler character? I pity the fool who pops off my limbs! Amazing post as always, I really like the randomness of the figures chosen how it ranges from your everyday sheriff to monster fly (?). haha, good work, I again am left feeling jealous. Those are awesome! I’ve never seen them before, great post and thanks for sharing! Wow. Freakin’ Wow. What a great idea, and presentation on their and YOUR part. Thanks for this. I don’t know why.. but I’ve got Ertl stuck in a part of my ol’ collecting brain. Maybe they created that Bladerunner car or some Dune toy that I’ve always dreamed about. @ Ryan – Cool. Willing to part with the Fly Monster? @ Chris – Thanks Chris. I was surprised Ertl did something like this. Good luck getting them out of your head. i bought one of the boxed sets for a friend for his birthday when they came out… and have never seen them in person since. 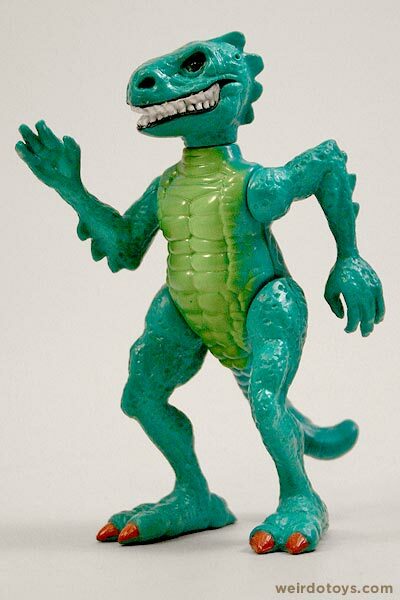 you’d think they would be standard thrift store/flea market fodder, but they remain one of my most sought after toy lines (as much for the “never got to own them” factor as their awesomeness”). I had a couple of these back in the day, though not any of the ones you’re still looking for. 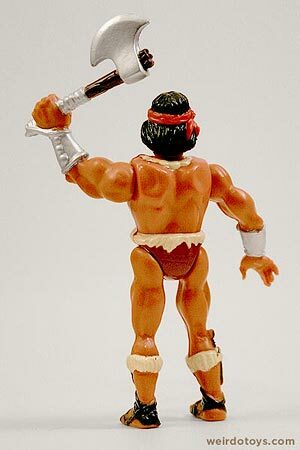 Even though it’s not an officially licensed item, I’ve got to get my hands on “Wrestler” for my Mr. T collection. I’m amazed they made so many! I’m also amazed that in 1991, they’d call the barbarian character “Indian.” It seemed like toys had gotten quite a bit more politically correct by then! Sure, I’m up for a trade or something. I’ll have to see if I can find all of the pieces first though. 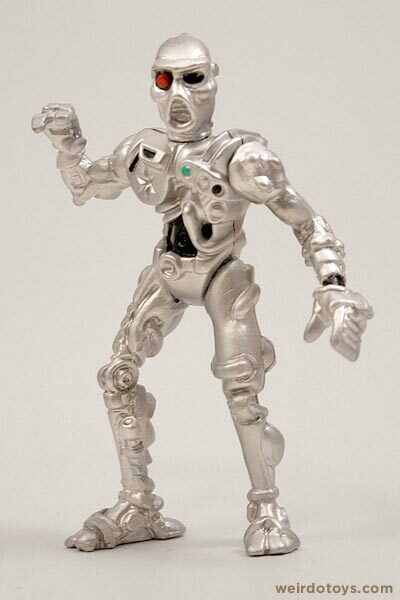 Awesome article, thanks for sharing these…I had a few of these figures, and didn’t remember till looking at this article, great photos and look at the line…I know for sure I had the robot figure, and the soldier…but who knows where they are now. 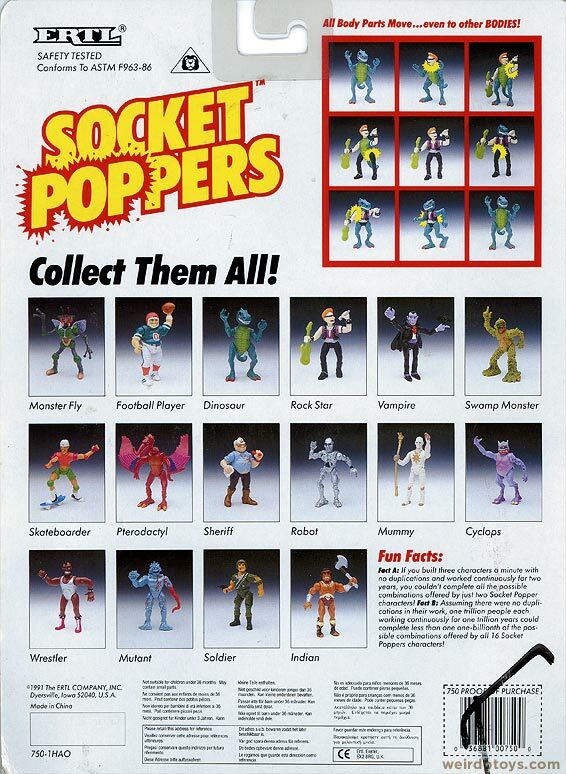 I had several boxes of Socket Poppers as a lad… never knew they were re-releases of “Connectors” though. I think I might still have them in an old Planters Peanuts can…. Was scanning through this blog after a link on another site, and just had to comment when I saw this post. This is a total blast from the past! 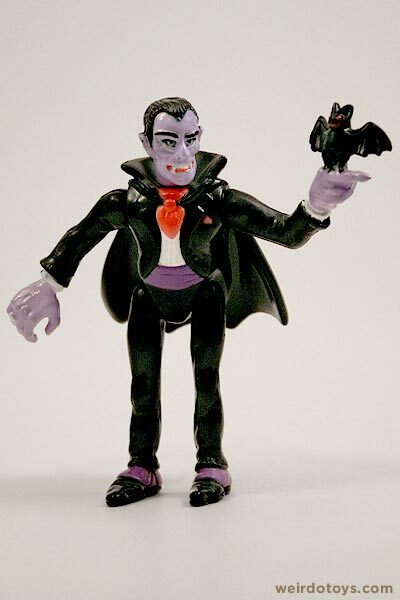 I used to have the full set of these as a kid! 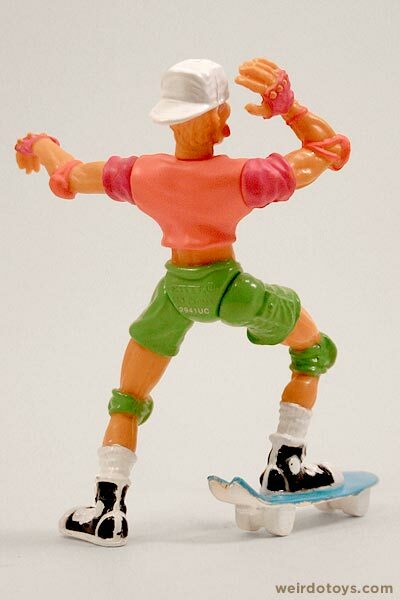 I wasted many, many hours of my youth playing with these things. I can’t remember if I bought them under the Socket Poppers or Connectors branding… I’m leaning more towards the Connectors though, since that packaging looks at least somewhat familiar. I’m pretty sure it was the full set too… the only ones that don’t leap out at me are the rockstar and the soldier, but the rest I vividly remember wasting my youth with. I wonder now if I still have them… seems like the type of thing that my parents would’ve given away to the school Christmas collection once I out grew them, but part of me really wants to think I’d have kept them. Man, thank you for posting this; seeing these has been a total trip down memory lane to my younger years. Great to see a toy that I honestly believed I’d never see again. 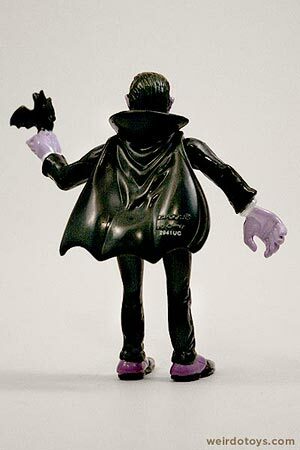 @ Ninjinister – Nothing beats peanut-laced Socket Poppers! @ Aco – Glad you like blog entry. 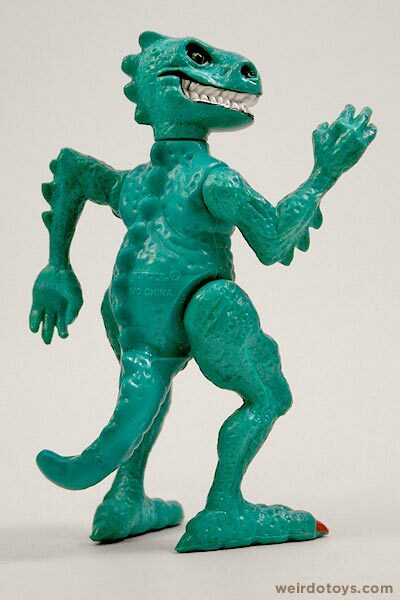 I’m thrilled that I could help you relive a forgotten childhood toy memory. I never knew about them growing up, but I was pretty excited when I discovered them as a grown man. my little brother has this Ben 10 alien maker thing that reminds me alot of these guys. 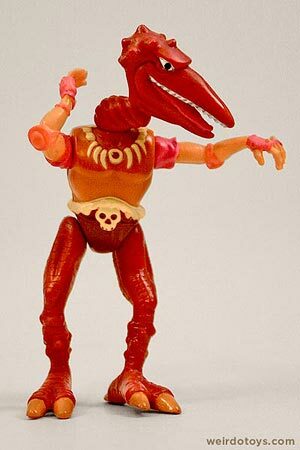 They remind of ManTek/Modulok, Multibot from MOTU and Centurians but more awesome! 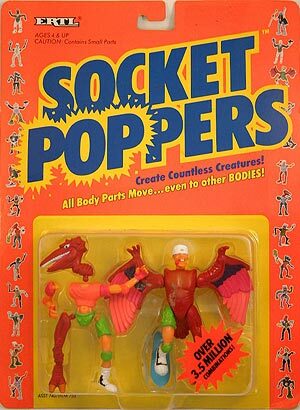 I used to have socket poppers back then I was 10 years old. I got them as a holiday present. also, my brother and our cousin also got the same gift but it was repackaged as “connectors” under matchbox. 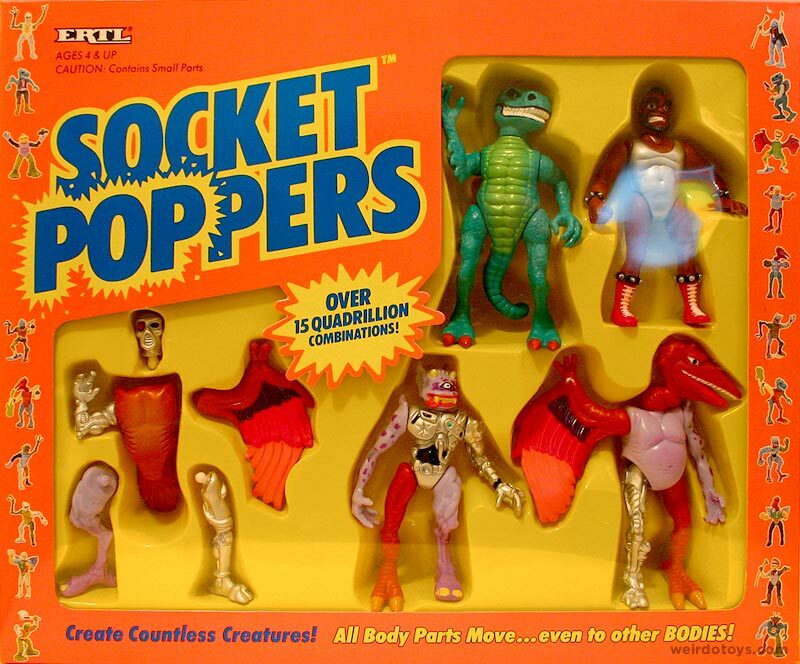 we got a big box w/ 5 socket popper figures. mine is the green dinosaur, rocker, football player, monster fly, and vampire. my brother’s are the merman w/ a tentacled arm, pterodactyl, the Mr. T-look like wrestler, the robot, and maybe the rocker guy/fly. As for my cousin, he had my dinosaur and fly guy, but he had the cyclops, sheriff, and skateboarder guy. We never had the soldier, the green monster, and the indian guy. I don’t know what happened to them, I guess my relatives hid it or gave it away, but I wish I still had them. those are the days of childhood fun…until video games took over. I’ve got the Sheriff- contact me! 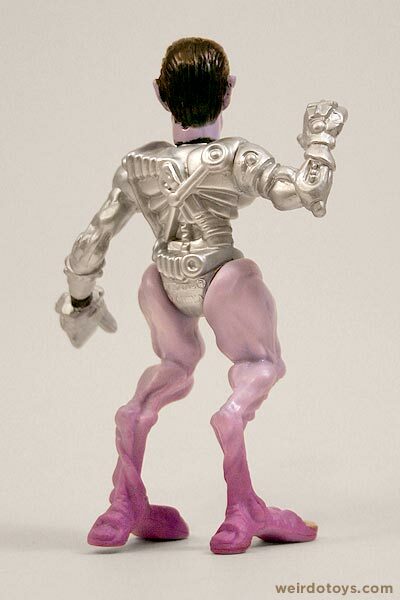 If you ever find the Mutant, be very careful with the arms. I remember when I was a kid the pegs snapped right off but the others withstood the test of time. Maybe it was just a bad batch but I went through 2 or 3 of them and kept taking them back until giving up on trying to get one that wouldn’t just break on me. I had all of these as a kid. 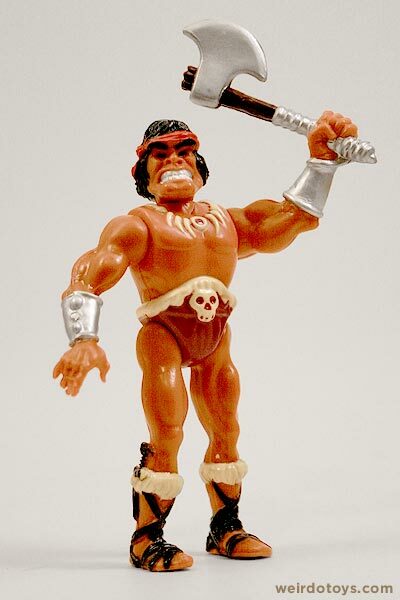 Such fond memories of dragging my parents to the now-defunct Kids Kingdom (the only place nearby that sold the boxed sets) to collect them all. I recall that I could never find the Mummy, Mutant, Cyclops, and one other (I think it was the Soldier) in regular 2-figure card form, so I had to get the boxed sets…my parents were very understanding of my collecting fetish by then, thankfully! 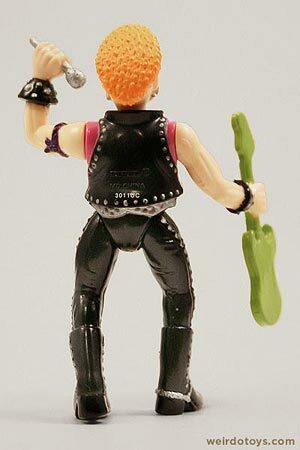 Derrick- My mutant figure kept breaking too, which sucked, as it was my favorite of the set. 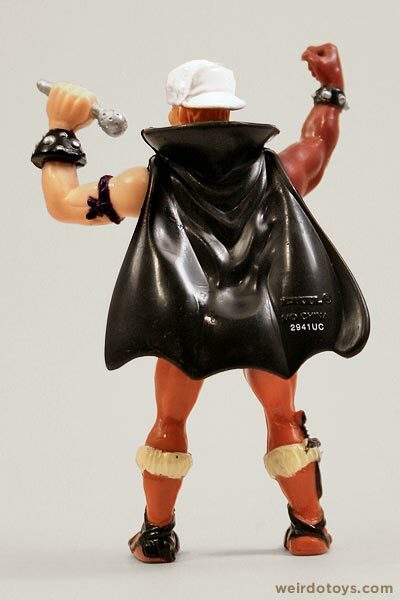 I actually superglued his arm back on and played with him as a socket popper with one less socket to pop, haha. Thanks to your blog, I searched for these on eBay and was lucky enough to win a small lot of them yesterday! I received the big box set one year either as a birthday or Christmas present (the former, I believe). These were some of my favorite toys upon their release and ever since (I can occasionally find myself in shops looking for similar toys now that Socket Poppers are long-gone). 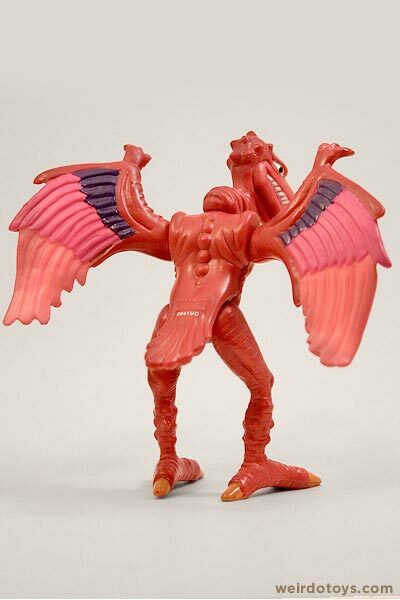 My major combination whom if I could find him I assure you would still be designed this way was known as Zilch: he was mostly a Dinosaur body, but with Pterodactyl wings and a mechanical Robot’s foot. Of course, apparently I had him be a guy wearing a high-tech suit and so when his mask was removed, I used the Rock Star head. I also used the Sheriff combined with the Mutant and Swamp Monster as a pretty often-used combination. 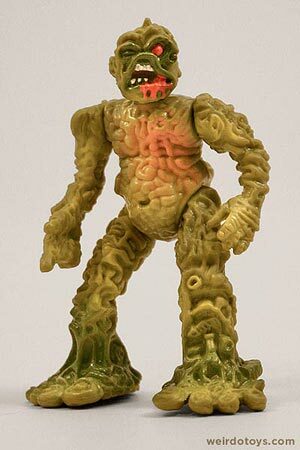 The Monster Fly and the Cyclops though were always on my wish list (even still) and I never obtained them. Man I’d do a lot for a full set of my own again!! 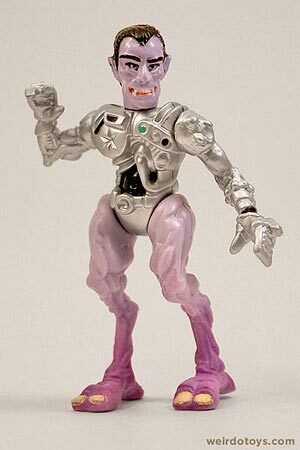 Great to see so much comprehensive info on these great old toys. forgot to say… a great article kudos to you ! What a blast from the past. 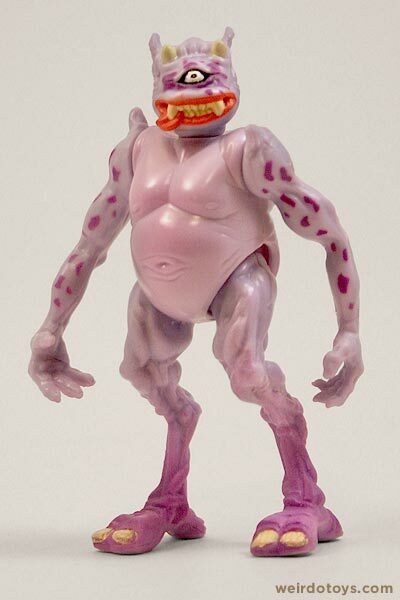 I owned the whole collection of these back in the early 1990’s. I made some humerous, amateur, “action figure theatre” style videos with them on my old vhs video camera. I still have the videos (now converted to dvd) but I got rid of the toy collection ages ago. 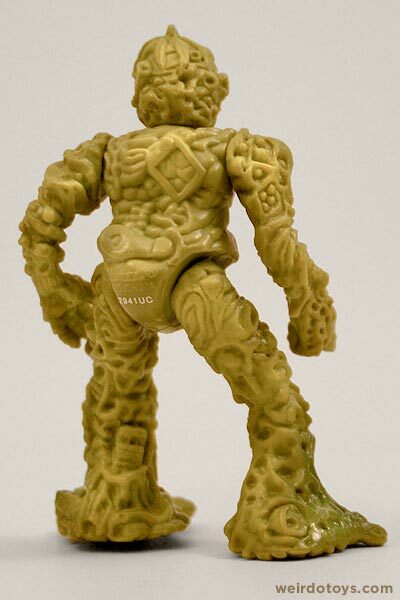 Those toys were really well made. They were so different and so original that I could not resist them when I saw them in the shops. Thanks so much for some great memories. I hope you find the remaining five that you are missing.